This entry was posted in Stocks and tagged chart, Technical Analysis on November 6, 2013 by Trader. 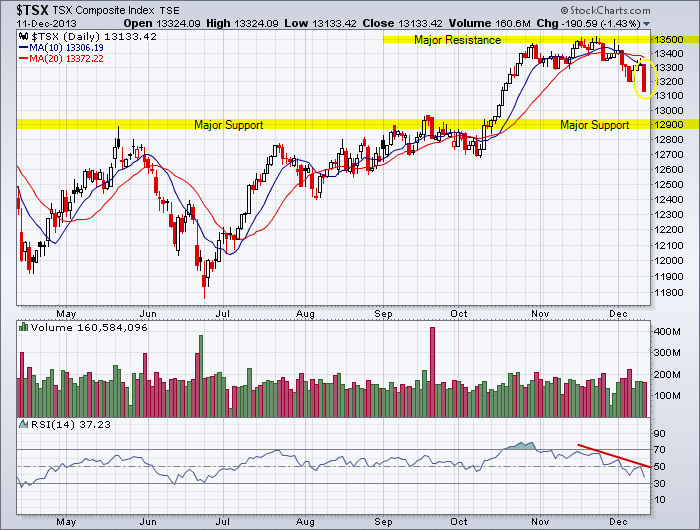 The above chart identifies support zones for the TSX. What more can I say about the chart: the TSX has a negative technical profile. This entry was posted in TSX Index and tagged major support, moving average, Technical Analysis, TSX on June 23, 2013 by Trader. Should you invest in the TSX? 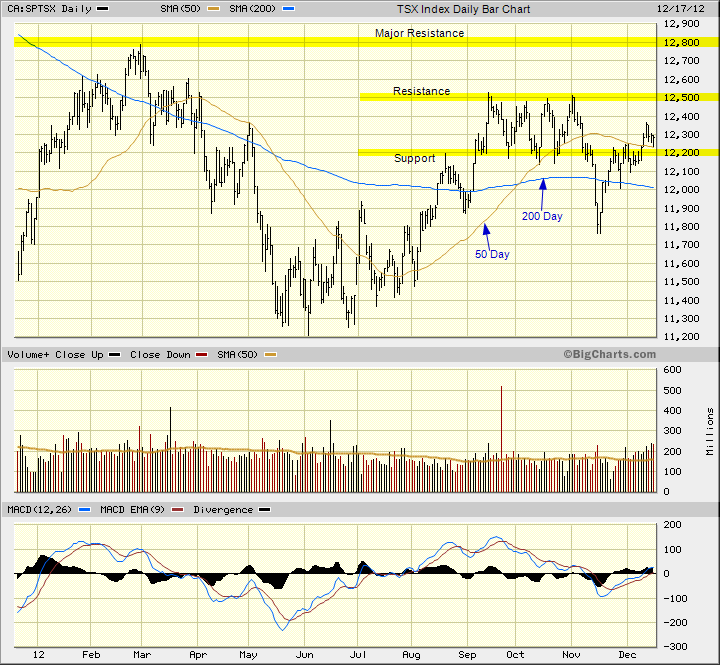 The TSX Index could not hold support of 12,600 in the old lateral trading range. Will the near-term downtrend stop at the support level of 12,300? 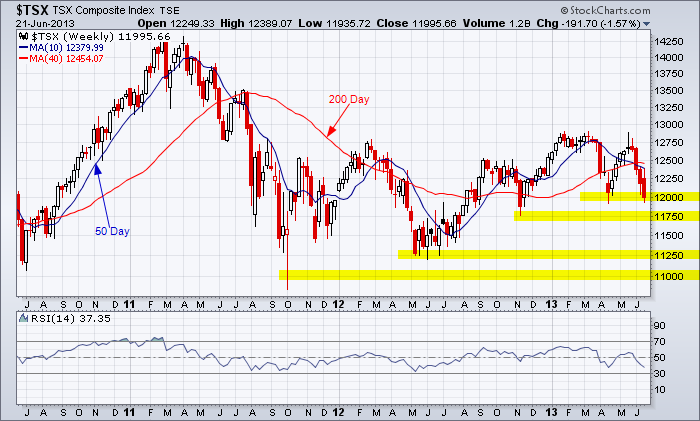 If not, the TSX will move down to the support level of 12,000. Should you invest in the TSX? The above chart is your answer. Now take a look at another chart. This entry was posted in TSX Index and tagged candlestick chart, major support, shooting star, Technical Analysis, TSX on June 9, 2013 by Trader. The chart pattern today (Monday, April 15) indicates caution but the intermediate trend is still up until there is a confirmed break below the intermediate trendline. 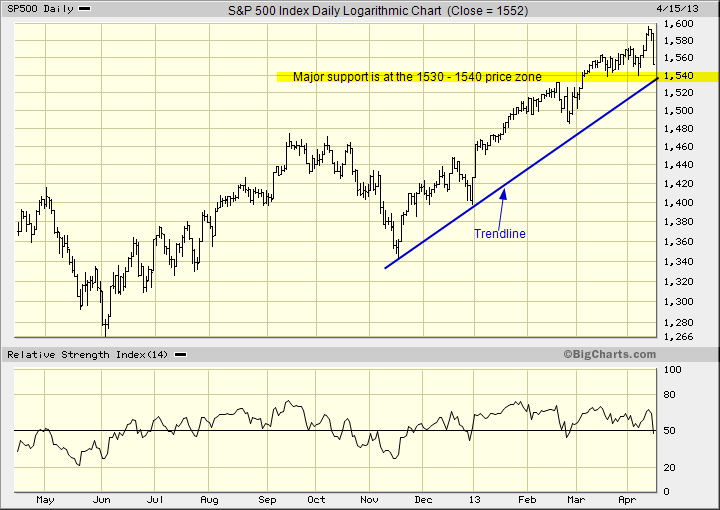 This is near the support zone of 1530 to 1540. There are three trends to consider for any index or stock: up, down or sideways. 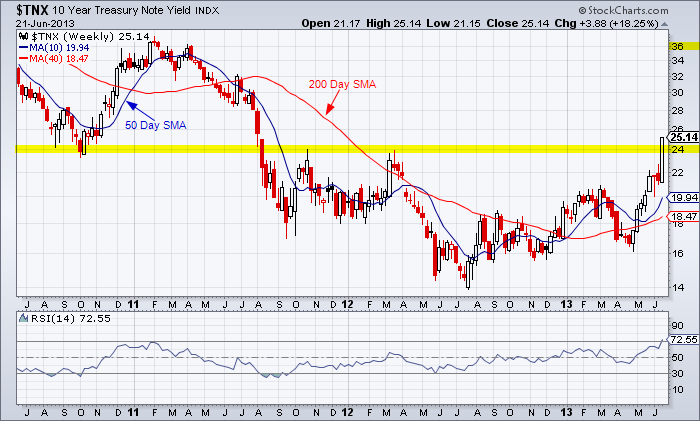 And there are three time frames to consider for a trend: near-term trend, intermediate trend and major trend. This entry was posted in U.S. Indexes and tagged S&P 500, support, Technical Analysis, trendline on April 15, 2013 by Trader. A good stock screener is the first place to start both your fundamental and technical analysis. There are two that I highly recommend. 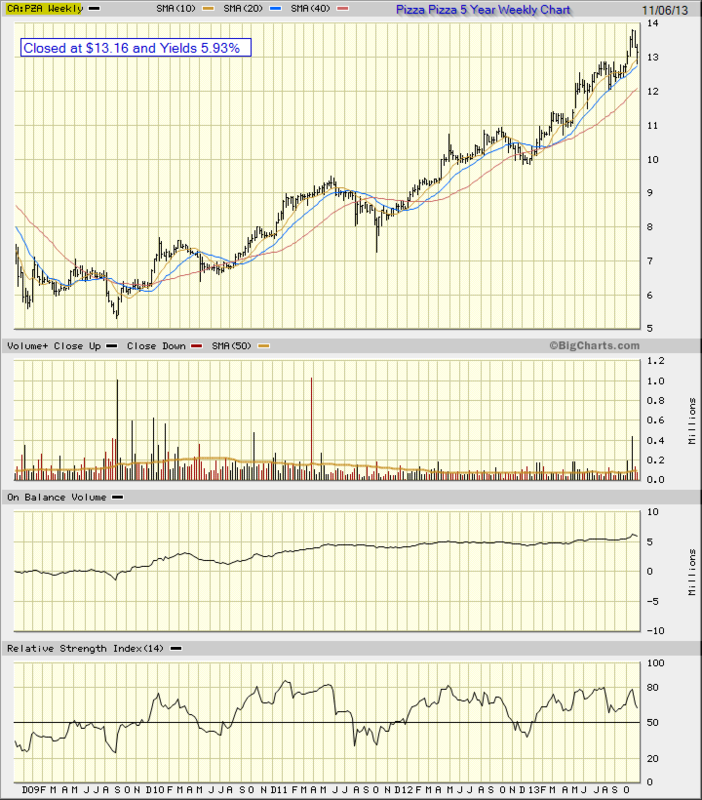 This entry was posted in Other Topics and tagged chart analysis, stock screener, Technical Analysis on January 6, 2013 by Trader. 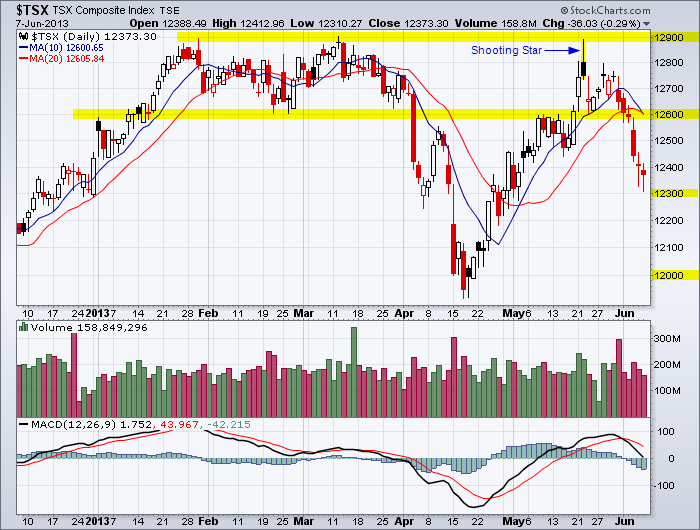 The resistance level of 12,200 identified on the last chart of the TSX Index is now the support level. The reversal of roles is an important concept in technical analysis. This entry was posted in TSX Index and tagged resistance, support, Technical Analysis, TSX on December 17, 2012 by Trader.